Ronnie O’Sullivan failed to pot a ball in the last four frames as he was beaten 6-1 by 17-year-old Chinese prodigy Yan Bingtao at the OPPO International Championship. Yan won the Rookie of the Year Award last season and the gifted teenager has continued his progress this term, climbing to 53rd in the world. And this is surely his best result yet as he swept aside five-time World Champion O’Sullivan. Breaks of 68 and 89 gave Yan the first two frames then his opponent pulled one back with a run of 111. O’Sullivan scored just five points in the last four frames – and those came from a foul from Yan. Breaks of 91, 52 and 73 helped Yan set up a last 32 meeting with Ricky Walden in Daqing. “My opponent is a great player,” said Yan, who last season because the first pro player born in the year 2000. “I played Ronnie once before and lost but it was a decent match so that gave me the feeling that I would have a chance if I played well today. I performed better than I thought I would. O’Sullivan, who won the English Open just eight days ago, said: “Yan played fantastically well. Maybe only Stephen Hendry and John Higgins have played that well against me before. I played well in Barnsley and I feel comfortable with my game, I just got outplayed today. I didn’t do that much wrong apart from missing a couple of balls. The run of the ball didn’t go in my favour but Yan deserved the bit of fortune he got and he scored heavily. It was a tough draw for me, especially as he’d already played a match yesterday. Home favourite Ding Junhui also suffered a last-64 exit as he lost 6-4 to Oliver Lines. Ding is suffering from a painful eye infection but managed to build leads of 3-1 and 4-3. It was Lines, though, who finished strongly to take the last three frames with top runs of 78 and 71. 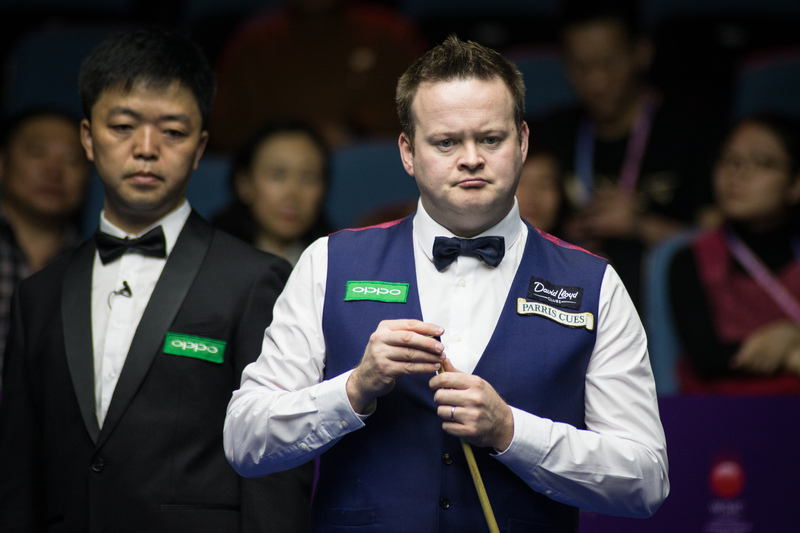 Shaun Murphy beat Mei Xiwen 6-5 in a superb match which saw nine breaks over 50. Mei compiled runs of 96, 55 and 84 to lead 3-0, but Murphy won six of the last eight frames with a top run of 80. World Champion Mark Selby won a hard fought battle against Cao Yupeng by a 6-4 scoreline. 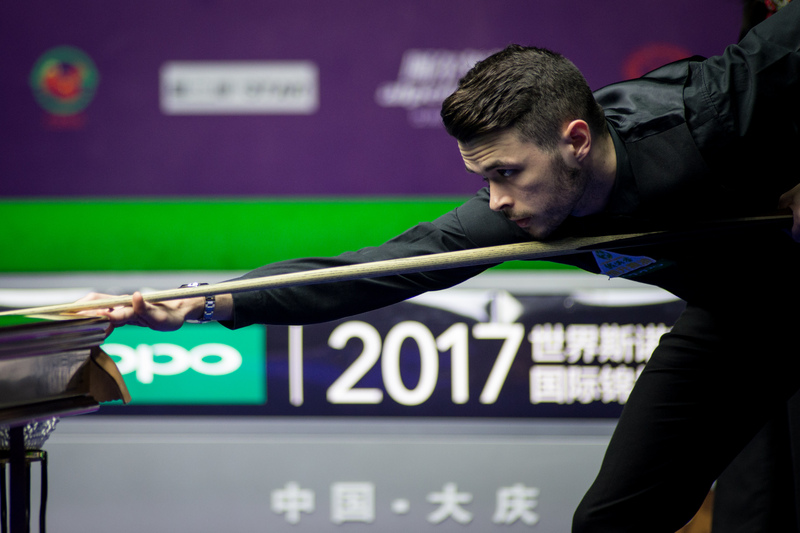 Selby, yet to reach the semi-finals of a ranking event this season, trailed 4-3 but recovered to win the last three frames. Jimmy Robertson made a 141 – the highest break of the event so far, as he edged out Robin Hull 6-5. In form Jack Lisowski top scored with 75 in a 6-2 win over Barry Hawkins. 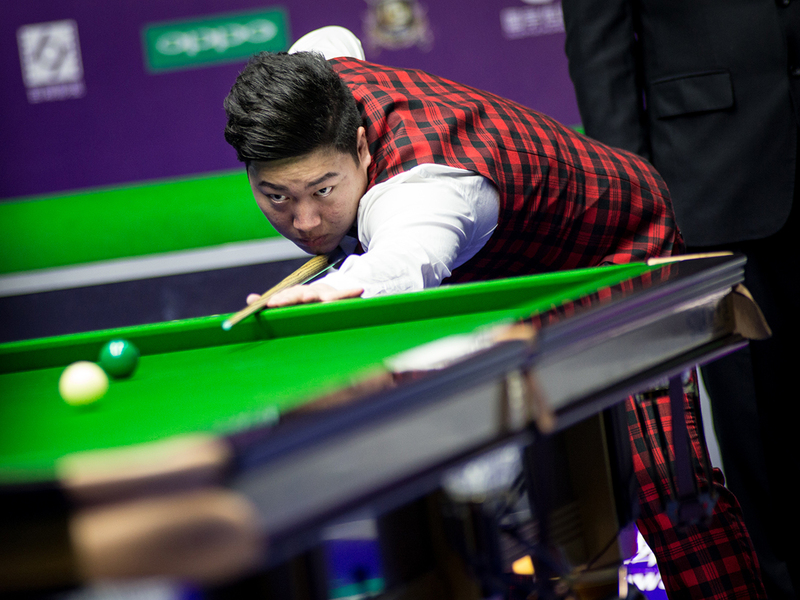 Liang Wenbo came from 5-4 down to beat Lee Walker 6-5 with runs of 62 and 75 in the last two frames.